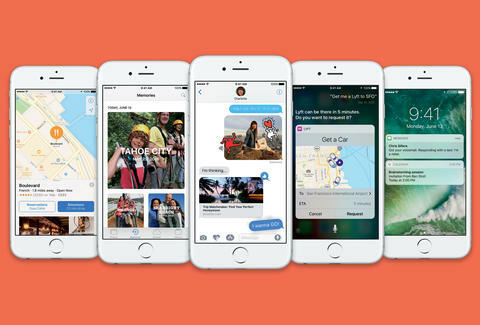 Like every iOS before it, the just-dropped iOS 10 is packed with a bounty of brand-new features designed to make your iPhone more useful than ever. Of course there's always a learning curve, so to ensure you aren't just pushing buttons like a toddler hoping they do stuff, here's a rundown of all the bells and whistles. And heads up: If you don't have the option to upgrade just yet, be patient -- Apple will be slowly rolling it out to all users over the course of the day. With iOS 10, there's been a complete overhaul to the lock screen and notification set-up, and it's about to fundamentally change how you interact with your phone. Instead of having to tap the wake button to check for any notifications on your lock screen, or accidentally blow past them by tapping the Home button and unlocking it, your phone will now "wake" whenever you pick it up to look at it. We've long dreamed of a quickdraw camera function, for those moments when there's absolutely NO TIME TO SPARE snapping a photo or video. With iOS 10, when you wake your phone by lifting it up, all you have to do is swipe left and the camera app instantly opens. Ta-da! Send Snapchat-style "Digital Touch" messages: Now, when you go to compose an iMessage, you'll notice two more buttons in addition to the camera and microphone icons. Tap the one that looks like a heart and a black window will open. Here you have the option to doodle in a variety of colors -- or snap a photo/video and sketch on top of it. If it sounds a little like Snapchat, that's because it's a lot like Snapchat. Search for GIFs directly in your message window: When you tap the Applications icon, you'll notice a searchable library of GIFs -- a feature that previously required downloading a special third-party keyboard. Send animated emojis and music: Scroll to the subsequent pages in the Applications tab and you'll discover animated emojis and tracks from your Apple Music account, which you can easily select and send independently, or as part of a larger message. Jazz up your messages with special effects: You can now add special effects to your message so it makes a bigger splash when someone receives it. For instance, you can have the the text explode across their screen, or transform their screen into a mini-fireworks show. You can even force them to "scratch off" a message with their finger to reveal what's beneath it. To explore all the different effects, enter your text or photo in the message window, then press and hold the send button. Automatically swap out words for emoji: The new iOS automatically matches words you've written with their emoji counterparts (if they exist), and will swap them out if you want. 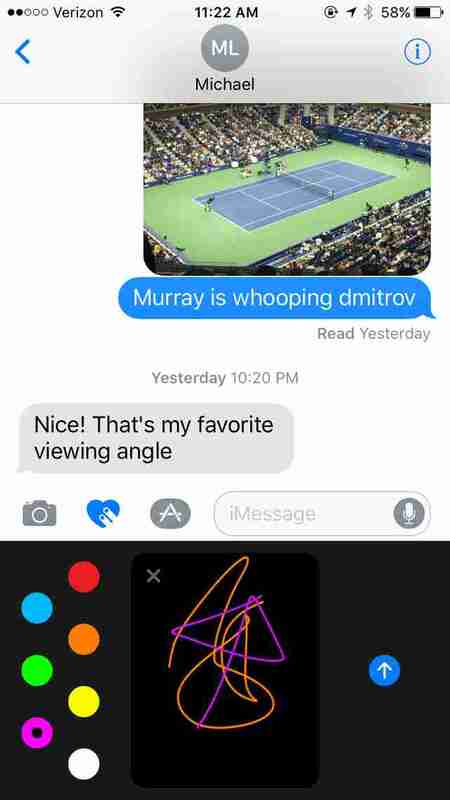 To see this in action, type a message with words you know are emoji-fied (love, tennis, pizza, etc.) and tap to access the emoji keyboard. You'll notice those words are now highlighted in yellow, and when tapped, will transform into their emoji equivalents. 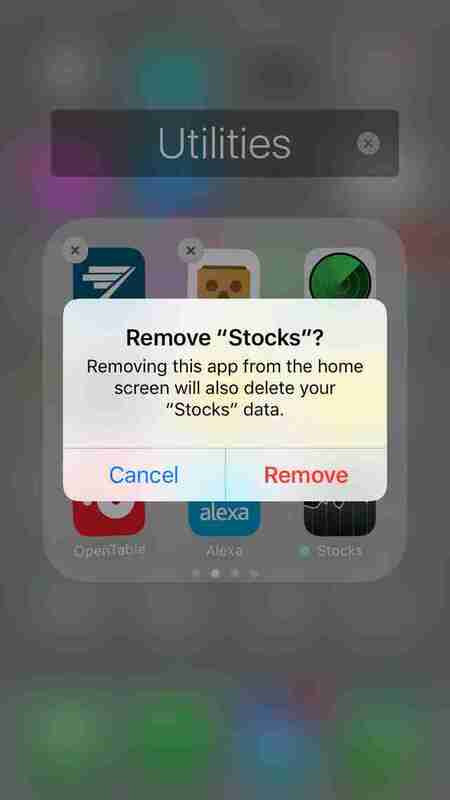 For the first time in iPhone history, you can finally delete those awful apps that come pre-installed on every device. That means you don't have to see the stock ticker or Apple Watch app on your Home screen ever again, and it also frees up some serious space (about 4 or 5GB) by removing some of the more substantial native Apple apps, including Apple Music, Maps, and even Mail. Even if you don't upgrade to that sweet new dual lens camera on the iPhone 7 Plus, there's still plenty of photo magic to be had. When you open your Photos app, you'll notice quite a few changes. For one, there's a new tab at the bottom called "Memories," which contains photo albums that've been automatically generated based on what Apple thinks might be an important memory to you -- depending on who's in them, where they were taken, and if they were shot during a particular photo-happy time period. Also, when you tap the "Albums" tab at the bottom, you'll see that there's one called "People." It's filled with photos containing the individual people most frequently found in your photos. Creepy? Cool? We're undecided. Finding a super-specific photo is now much easier since Apple uses AI to categorize them with identifying traits. Can't find that one shot from the beach last summer, or of your dog in a boat? Just search "beach" or "dog," and it'll cull every image in your library that matches that query. When you open the Alarm app, you'll notice there's a brand-new tab at the bottom labeled Bedtime. 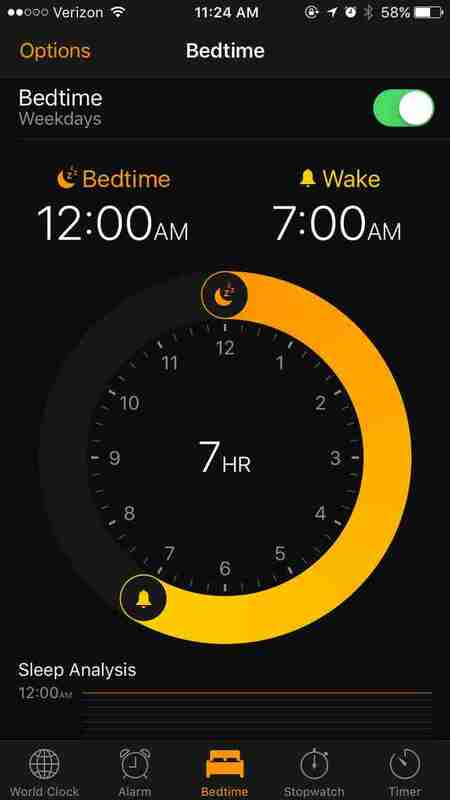 This is essentially Apple's version of the Sleep Cycle app. It tracks your sleep habits and gently reminds you when it's time to start winding down, so you get adequate shut-eye based on when you need to be up in the morning. For the multilingual among us, iOS 10 alleviates a huge headache when communicating interchangeably in English and another language. Now, you'll be able to go back and forth from Spanish (or French, or Czech, or any other language Apple supports) and English within the same message without switching between keyboards. Viva la Spanglish! The compendium of notifications that appears when you swipe down from the top of your screen can be helpful for finding any important alerts or messages that might've gone unnoticed, but it can also get cluttered quickly. Now you can easily dismiss them all by pressing and holding the "X" at the top. Tim Cook & Co. didn't mention ole Siri too much in their big announcement, but she has not been forgotten. In iOS 10, Apple gives Siri access to third-party apps, meaning you'll be able to ask her to do things using natural language, like order a car ("Siri, get me a Lyft") or send messages outside of iMessage ("Siri, tell John I'll be a few minutes late via WhatsApp"). It's been a long time coming, but Siri's finally catching up to her uber-useful AI counterparts like Alexa by heeding commands for more than just Apple-affiliated services. Joe McGauley is a senior writer for Thrillist and excited there's finally a way to regularly showcase his horrible cursive handwriting.